Dana's story is far too common. Although heart disease is the No. 1 killer of women in the U.S. -- claiming more lives each year than all forms of cancer combined -- many fail to recognize the warning signs, which can be different from those felt by men. 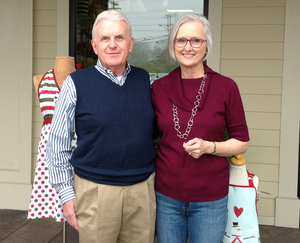 The story of how Dana and Stan Jones spent Valentine's Day 2014 seems straight from a movie script. Start with the setting: a cold, sunny morning in suburban Winston-Salem, North Carolina, with snow covering their long driveway. The camera captures a bundled-up Dana heading outside with her trusty snow shovel. It's about 9:30 a.m. and she wants to clear the driveway before the sun bakes the snow into hard ice. The next-door neighbor is doing the same thing and Dana says to him, "Let's get this done." Stan joins them and Dana fusses at him not to exert himself because of his heart history; he had a heart attack 11 years before that required doctors to insert a stent to prop open a clogged artery. When they head inside, Stan returns to his office and Dana goes to the kitchen. Soon her left arm hurts. She mutters, "Must've pulled something shoveling the snow" as she gets out a heating pad. She struggles to find a position where she feels comfortable. Stan comes to check on her and she says, "The pain is constant -- it's not easing up at all." Recognizing her discomfort a little too well, Stan rushes her to the car. They exit the driveway through the path they'd just cleared. "I think we need to hurry," Dana says, and Stan runs every red light along the 5-minute drive to the hospital. He pulls up to the emergency room, runs in and says his wife is having severe left arm pain. Dana is put in a wheelchair and whisked away. The camera sticks with Stan as he parks the car and rushes back inside to find where Dana is being treated. As he walks into her room, she says, "They say I'm having a heart attack." Dana's head slumps toward a shoulder. She's just gone into cardiac arrest. This is why my organization, the American Heart Association, started Go Red For Women, our movement aimed at raising awareness about women and heart disease. We celebrate Wear Red Day on the first Friday in February (this year, that's Feb. 5) and we devote much of American Heart Month (February) to drawing attention to this. 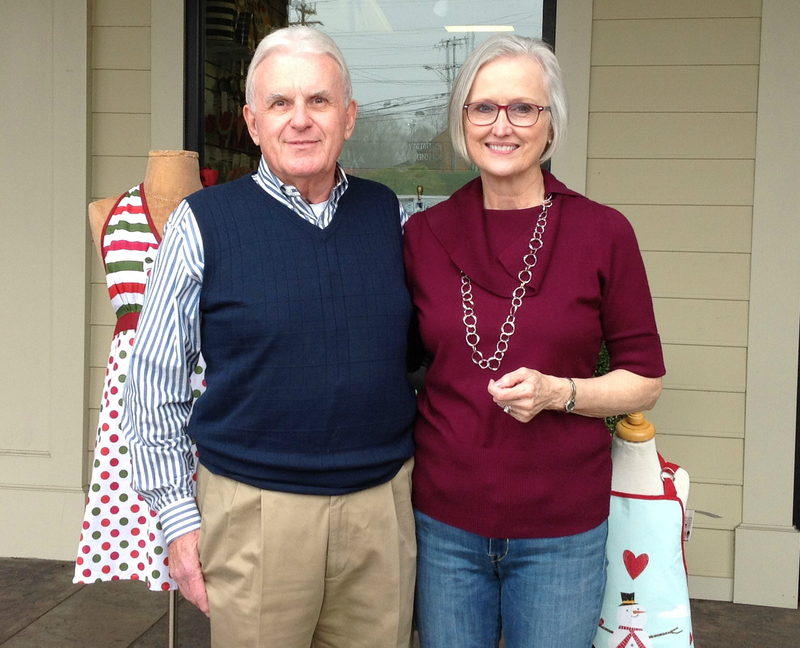 Dana and Stan Jones have their own reason for thinking about heart disease in February. Let's get back to their story. "Ma'am! Ma'am!" the doctor screams as he shakes Dana. Getting no response, he barks out orders. Colleagues mobilize, one providing injections and others setting up the so-called crash cart you see on TV. The first shock fails to restart her heart. Same with the second try. A third jolt does it. Minutes later, Dana opens her eyes. A nurse walks in and says, "It's so good to see you smile," drawing a confused look from Dana. She doesn't realize that she's smiling and doesn't understand why it's so good to see her do it. She sees Stan briefly, then is put into an ambulance bound for the catheterization lab at a bigger hospital. A team is waiting for her there and they get started right away, threading a tube called a catheter into her upper thigh and working it into her heart. Through this tube, doctors can see what's going on and fix it. Dana is awake and hears the surgeon describe his one-on-one battle with the blocked artery that started all this. The doctor then explains he's connecting her heart to a pump that will do much of the heavy lifting for the next eight hours, giving her worn-out muscle time to recover. The worst is behind her; the healing has begun. In all, Dana survived a heart attack and cardiac arrest. She also endured a catheterization procedure in which doctors inserted a mesh-like tube called a stent to keep open the clogged artery that caused her heart attack. She spent several days in a critical care unit. As her body recovered, her mind absorbed the fact she'd had a heart attack. Nearly two years later, she doesn't remember any pain but she does remember a lot of disbelief. "Me, have a heart attack?" she said recently. "Strangest thing I've ever heard." At the time, Dana appeared to be in good shape -- certainly not what you'd consider someone likely to have a heart attack. However, she had high cholesterol that was not being treated; she'd stopped taking a prescribed medicine because of side effects and had neglected follow-up care with her doctor to find an another medication. Plus, she had a family history; her dad had a triple bypass years before dying of congestive heart failure, and mom died years after a debilitating stroke. "I wasn't putting two and two together," she said. "I know it sounds kind of stupid, but heart disease wasn't forefront of my concerns. As a woman, I was more concerned about the possibility of breast cancer." 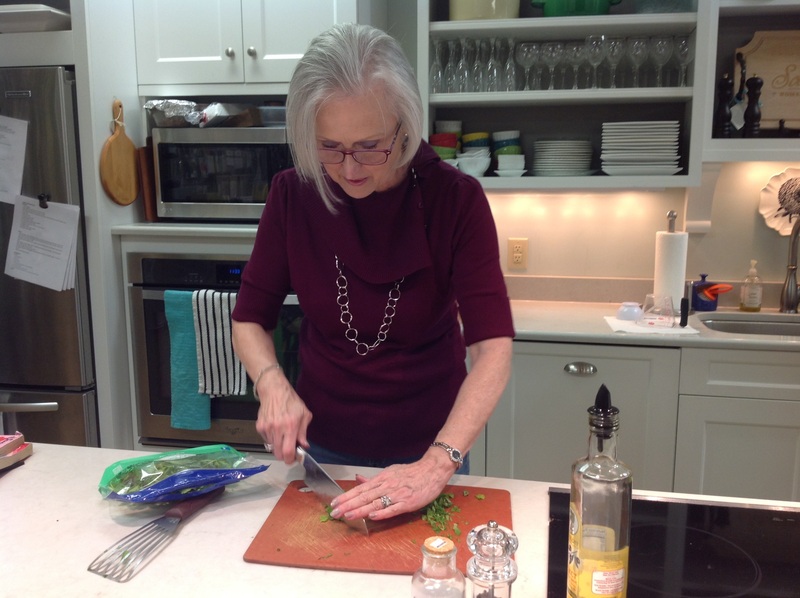 Now at peace with being a heart attack survivor, Dana has embraced a healthier lifestyle. It helps that she'd already been a few years into retirement after a hard-charging career in the corporate world. "I've made great use of Netflix and Amazon Prime," she said, laughing. "I do a lot of hobby-type things. I make greeting cards, take classes, read a lot and do jigsaw puzzles." Being active is important, too. She has a treadmill and an elliptical machine, averaging a half-hour per day, six days per week. She avoids being outdoors if it's extremely hot or extremely cold. She also pays attention to the messages her body sends. "If I'm tired, I admit it," she said. "Before, I would push myself through it." She keeps a close eye on her medications. 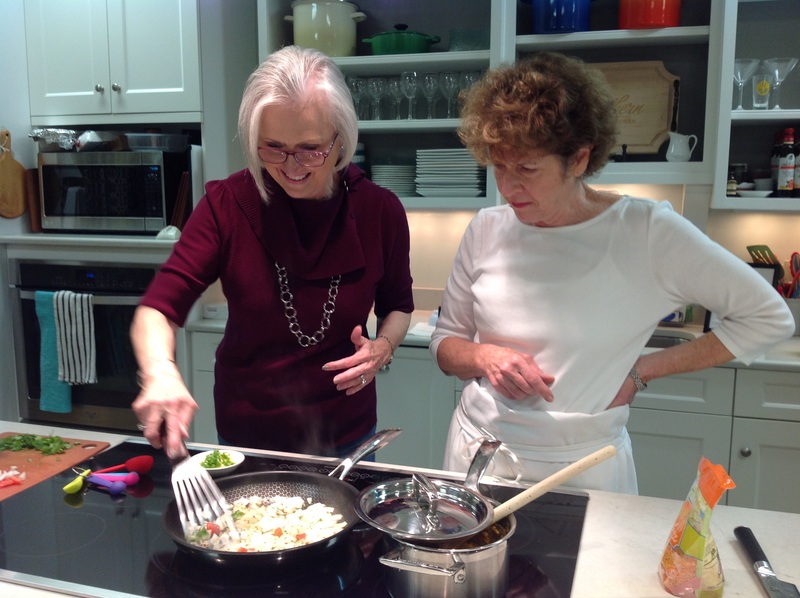 And her diet is well under control, aided by a newfound love of cooking. She regularly takes healthy cooking classes with a food coach. "I really like lentils and good-for-you food but I didn't know how to make it," she said. "I was never taught to cook because I was always in the corporate world. Now I'm learning about nuts, whole grains, vegetables and beans. I took a knife class to learn how to cut vegetables -- I was that bad!" Another passion is using her story to help teach others not to take their health for granted. "I can't tell you how many women I've told that if you feel something weird, go to the hospital. It's far better to pay the ER fee than not to be around to pay it," she said. "Too many women just go take a nap to sleep it off. If I did that, I would've died. "Get checked regularly and work with your physician to address your heart health. Check your numbers! If your doctor tells you to do something, do it. If you don't, it will catch up with you. I'm walking proof."